At Acupuncture Denver, we have become well-known in the metro Denver area as highly trained, experienced, and compassionate acupuncture fertility specialists. After many years of hard work, dedication, and success stories (including hundreds of healthy babies born!) we frequently receive referrals from some of the area's best reproductive endocrinologists as well as word-of-mouth referrals from couples whom we have personally touched. As the only Fertile Soul Clinical Affiliate in Colorado, we also offer a body-mind-spirit based approach that we didn't just learn in a classroom or online, but that was cultivated over tens of thousands of hours in the treatment room with all manner of difficult cases, unique life circumstances, and the richness and complexity of the deep desire to bring forth life. Our committment to emotional authenticity coupled with the intellectual rigor we bring to our work sets us apart from many acupuncturists who haven't had the opportunity to delve as deeply into a specialized field. Please feel free to call us directly at 303-929-9582 or email us anytime. We look forward to connecting with you! 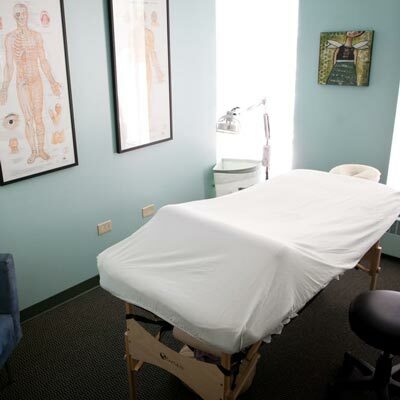 All of our practitioners have Master's Degrees in Oriental Medicine and are National Board Certified as Diplomates of Acupuncture, Chinese Herbology, or Oriental Medicine by NCCAOM. We are also all board-certified fertility specialists, having passed the ABORM examination and upheld our continuing education requirements in the field of reproductive medicine. We also strive to deepen our abilities as healers (and stay sane!) by living balanced, wholehearted lives and cultivating awareness through practices like meditation, yoga, exercise, healthy eating and regular self-inquiry. As working moms, we feel grateful to be able to share a schedule that that allows us to nurture both our patients and our families. Please see below for a Q&A that can be useful when you are seeking out a qualified acupuncturist, especially if you are looking for help with infertility. Do you have any advanced training in fertility treatment beyond acupuncture school classes? Most acupuncture schools offer little, if any, specialization in terms of TCM (Traditional Chinese Medicine) gynecology or the treatment of infertility. Some academic programs do not teach the zang-fu diagnostic paradigm that is relevant to the treatment of infertility from a Chinese Medicine perspective, especially when it comes to Chinese Herbal Medicine. I would recommend that a practitioner has a minimum of a Master's level education in Oriental Medicine that includes Differentiation of Disease, Chinese Herbal Materia Medica, and Chinese Herbal Formulas. I would also be sure any acupuncturist you work with has advanced, postgraduate training in the TCM treatment of infertility. While there are not many programs that offer these classes, conscientious and dedicated practitioners should have sought out and completed advanced training in treating infertility if they are calling themselves specialists in this field. Also, beginning in 2008, The American Board of Oriental Reproductive Medicine offered its first board exam and certification program, setting the standard for qualified specialists in the field. Jane Gregorie passed the innaugural exam to become one of the first of a very small group of Fellows of the ABORM that year. Merry Reasons became ABORM certified in 2010, Mally Shaw became ABORM certified in 2015. They all keep their ABORM certifications current by receiving regular continuing education in the field of fertility and reproductive medicine. Both Jane and Merry have participated in multiple advanced trainings in Fertility Enhancement with Randine Lewis, L.Ac., Ph.D., author of The Infertility Cure and founder of The Fertile Soul. They have also worked closely with her as interns at her Fertile Soul Retreats. Jane was honored to be invited by Dr. Lewis to become a Charter member of the Fertile Soul's Clinical Excellence in Fertility ProgramTM at its inception. As part of the program, members participate in bi-weekly conference calls with Dr. Lewis and the Fertile Soul team and also in regular trainings and retreats. This elite group of practitioners includes some of the best TCM fertility specialists in the country who are fortunate to be able to share difficult cases for peer support and to keep abreast of the latest research in the field of infertility. Merry and Jane are both members of this program and Jane was again honored to be chosen by Dr. Lewis as one of a handful of Fertile Soul Clinical Affiliates, or those who "have demonstrated alignment with The Fertile Soul principles, treat according to The Fertile Soul methodology, have interned at The Fertile Soul retreats, and support the Fertile Soul retreat process. These dedicated members have been personally trained by and are vouched for by Dr. Randine Lewis." As mentioned above, all of our practitioners hold Master's-level diplomas from TCM-based Acupuncture schools. Jane's education at Southwest Acupuncture College included TCM Gynecology and included extensive clinical and didactic training in differential diagnosis in the eight principle and Zang-Fu paradigms, including training in Chinese Herbal Medicine. She also completed advanced trainings in Acupuncture and TCM for infertility with renowned scholar and Taoist master, Jeffrey Yuen as well as with Jane Lyttleton and many others. Jane and Merry regularly attend Fertile Soul trainings, continuing education classes related to infertility and women's health and consult with some of the most well-known practitioners in the field. Jane is also a professional member of Resolve and ASRM and stays up to date on the latest research in reproductive medicine. Jane also co-presented a lecture on egg quality with Debra Minjarez, MD at the internationally attended Integrative Fertility Symposium in 2016 and has been invited to present on TCM and Fertility at Colorado Center for Reproductive Medicine. She and her practitioners regularly confer with esteemed reproductive endocrinologists on their cases. Are you NCCAOM (National Board) certified in BOTH acupuncture AND Chinese Herbology? Some acupuncture practitioners never study herbs as part of their formal education, but can (with an acupuncture license in most states) recommend and sell herbs to their patients, even without any academic herbal medicine training. If your practitioner will be recommending herbal formulas, be certain they are NCCAOM certified in Chinese herbology--the minimum standard certification they should hold to dispense herbs in their practice. It is also advisable to seek out a practitioner who can create custom formulas to match your individual pattern and presentation. Being able to offer custom loose-herb formulas or granules is a good sign that the practitioner is not just practicing "cookbook" style herbology and can make a sophisticated formula that not only meets your needs but will be safe in all phases of your menstrual cycle. Also, if you are taking pharmaceutical medications, your practitioner should be aware of potential herb-drug interactions and contraindications. Some herbs are potentially toxic and some are contraindicated in pregnancy. An uneducated "herbalist" could potentially cause more harm than good by recommending a formula that is inappropriate for you. Jane has been National Board Certified in both Acupuncture and Chinese Herbology (license #12506) since 1999. Mally is also Board Certified in both acupuncture and herbology. They use only the highest quality herbs and prescribes custom formulas using granular teas, tablets and capsules. They can also prescribe loose herbs from an outside pharmacy if you prefer to take fresh decoctions. All of our practitioners are well aware of herb-drug interactions and what precautions to take when a patient is on a particular drug regimen. In particular, they have studied herbal prescriptions that relate to gynecology and fertility extensively and can create a sophisticated, custom formula to meet your needs in each phase of the monthly cycle. How much of your practice is devoted to working with patients facing fertility challenges? Do you have any success stories or references? It is important to find a practitioner who is familiar with western medical conditions that are associated with infertility and who is also able to interpret any labwork you may have had. They should be able to understand your basal body temperature charts and basic hormonal lab values that are pertinent to your case. Greater levels of experience and education will make them aware of important factors that could be crucial to your success in conceiving and carrying a healthy baby to term. For instance, a former patient exhibited symptoms that I knew could indicate that she had elevated prolactin levels. I immediately referred her to her MD for testing where she was diagnosed, treated, and was pregnant within a month. If I had continued to treat her with Chinese medicine exclusively, not recognizing her possible need for further evaluation and medication, she would have lost valuable time and money and potentially not have conceived. (But last I heard, her daughter is in grade-school now!) While licensed acupuncturists are not qualified to make a medical diagnosis, fertility specialists should be able to recognize "red flags" that would alert them to your need for further medical testing. We are also frequently able to give advice in terms of what testing or evaluation might be advisable in particular situations like recurrent pregnancy loss, advanced maternal age, male factor infertility, or anovulation. Additionally, your practitioner should be well-versed in the protocols and treatments used by reproductive endocrinologists and fertility clinics. In order to properly work in conjunction with your RE to optimize your treatment outcome, your practitioner needs to be familiar with assisted reproductive treatments, their actions, and their potential side effects. Someone who has more experience and facility working with fertility issues can be a great ally and support as you go through the intense and often stressful procedures like IUI, IVF, hormonal suppression or stimulation. Our patients often comment that they learn more about their upcoming IVF or IUI cycles from us than from the staff at their fertility clinics (just sayin!). We have worked with so many patients for so many years now going through ART treatments that we are able to help demystify the process and put people at ease when they are facing the more invasive treatment protocols. We also work closely with several physicians in the area and are happy to confer with them as needed. We are honored to get regular referrals from some of the best reproductive endocrinologists in the area and some also from some of the best fertility acupuncturists in the nation (who often send their patients to us when they are visiting Denver for treatment at CCRM). We also stock supplements at our clinic, including a popular "fertility cocktail" (no, not the fun kind like cosmopolitans, but more like myo-inositol, co-q10, l-arginine, melatonin, etc.). Over 90% of our patients come to the clinic for assistance with fertility issues. Their testimonials can be viewed on the fertility success stories page and we can provide references upon request. We have a great deal of experience with patients who are undergoing all types of assisted reproductive techniques. Whether you want to try a strictly natural Eastern approach, or a combination of TCM with hormonal stimulation, IUI, or IVF, we will tailor your treatments to fit your specific needs. We are also very familiar with the Stener-Victorin protocol, requested by some REs to increase uterine blood flow prior to IVF. We also offer pre- and post-transfer treatments (IVF) both in our clinic and on-site at the time of transfer (and if we cannot accomodate you on-site, we can make referrals for someone who will). 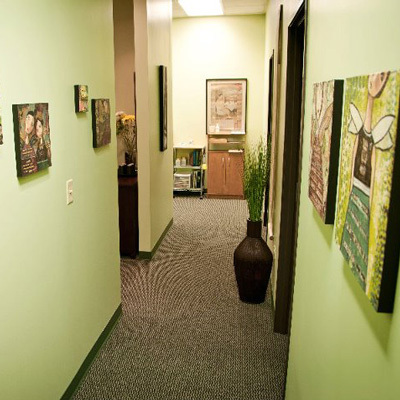 Again, having worked with so many patients going through ART treatments over the years, we are able to help make your experience more relaxed and less intimidating. We also use mind-body relaxation tools as part of the treatment process which has improved outcomes and our patients' well-being when going through these treatments. We'll here to hold your hand as much as you need it! Who is your practitioner as a person? How can they support you in the healing process? Most practitioners who have devoted themselves to this field are genuinely concerned, compassionate, and deeply empathetic people. The journey that fertility patients take can be an especially painful and frustrating one. Trusting your practitioner's experience, education, and commitment to this work is vitally important. Because the fertility struggle affects us on so many levels, working with someone with whom you can connect on a deeper level is essential to the healing process. Your practitioner should be a healer, not just a technician. Having a heart-centered approach to Chinese medicine is the hallmark of an exceptional acupuncturist. Randine Lewis' success in this field is due not only to her immense knowledge of both western and eastern medicine, but to her depth of being, her connection to spirit, and her skillfulness in terms of giving patients just what they need in the moment. We are grateful to her for not only teaching us how to practice this medicine more effectively, but also for giving us a perspective on life that is deeply rich and ever-fulfilling. All of us are devoted to living our lives and working with our patients on this deeper level. Our patients' words speak for themselves, but I can also say that working with people facing fertility challenges as well as going through my own pregnancy losses and long journey to motherhood have been the most rewarding parts of my career and my life.I woudn't be the person or the mother I am today without going through the depths of despair and the heights of joy that came from that experience. We are truly passionate about helping make your journey to parenthood just as rich and fruitful. We are also dedicated to creating a safe space for you here. Whether that means letting you have a good cry, helping you make a decision when faced with multiple family-building choices, holding space for uncertainty, anger, or fear, or sharing in your epiphanies and joys, we are here for you.